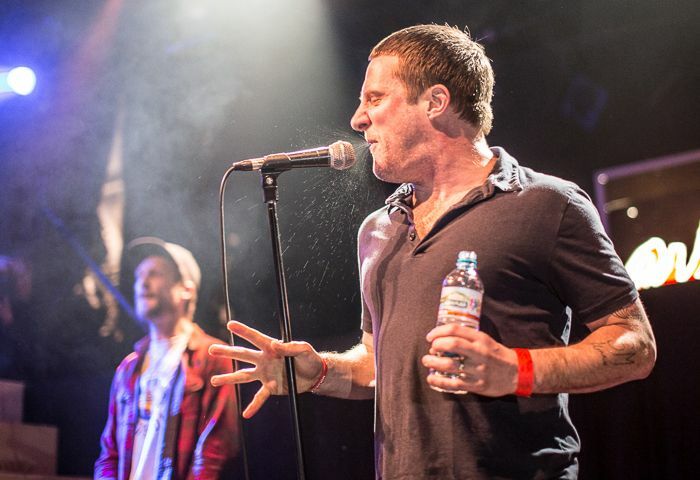 Sleaford Mods, whose new album Eton Alive is set for release in February, will play Liverpool O2 Academy on Saturday, March 2, 2019. Their fifth studio album, Eton Alive, will be the first to be released on the duo’s own newly formed label, Extreme Eating, after parting ways with Rough Trade Records. Recorded in their hometown of Nottingham, the album promises to deliver more of the distinctive lyrical bite, political vitriol and homemade beats that have made them a cult success over the past decade. Jason Williamson, one half of the outfit, said of the new record: “Eton Alive speaks for itself really. Here we are once again in the middle of another elitist plan being digested slowly as we wait to be turned into faeces once more. They return to Liverpool after a memorable 2016 in the city, which saw them play high up the bill at Sound City as well as a frenetic Mountford Hall gig.